A federal magistrate has ordered settlement talks between attorneys for Children’s Hospital Oakland and the family of a 13-year-old girl who has been declared brain dead. 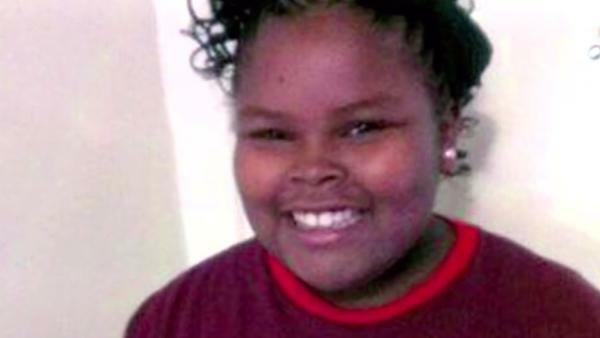 U.S. Magistrate Donna Ryu will meet in her Oakland courtroom Friday with both sides in hopes of brokering a deal in the ongoing legal fight over Jahi McMath. A separate hearing has been scheduled Friday before Judge Evelio Grillo of Alameda County Superior Court in Oakland. Jahi’s family has accused the hospital of denying the girl a tracheostomy tube that is required to transfer her to another site, as well as withholding the insertion of a feeding tube that will provide her nutrition. They maintain that she is not dead because her heart is still beating and she is hooked up to a ventilator. Hospital representatives have said that they’ve never objected to the girl receiving a tracheostomy but would not allow the procedure done in its hospital or performed by its staff because of the ethical and legal issues related to operating on a deceased person. The hospital’s doctors declared Jahi dead on Dec. 12, three days after she underwent a tonsillectomy that resulted in complications. The hospital would arrange for Jahi to be moved to another site for the procedure, or for long-term care, but has not heard from any facility, doctor or medical transport service regarding her case, hospital spokesman Sam Singer said. Christopher Dolan, attorney for Jahi’s family, has filed requests in three separate courts seeking orders to force the hospital to insert tracheostomy and feeding tubes, but judges have declined to do so. In court papers filed in federal court Thursday, Dolan again asked for an order for the tubes to be inserted. Grillo has issued a restraining order that prevents the hospital from disconnecting Jahi from a ventilator until at least 5 p.m. Tuesday. At 1 p.m. on Tuesday, U.S. District Judge Saundra Brown Armstrong in Oakland is expected to hear arguments about possible violations of Jahi’s civil rights, and the rights of families – not doctors, lawyers or politicians – to determine a loved one’s death, based on their religious or personal beliefs. Health A-Z, Public Health Breaking news, Dubai medical tourism, Health News, Jahi McMath, medical news. permalink. 2016 Copyright Texila Connect. All rights reserved.